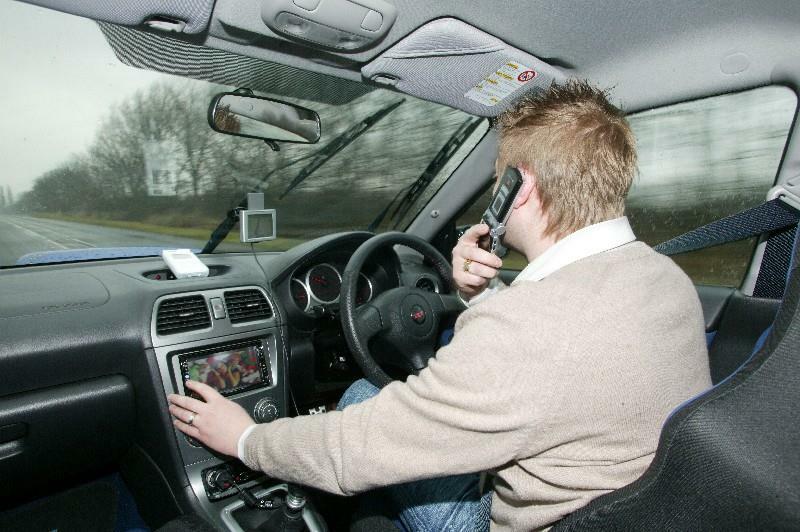 Fixed penalties for careless or inconsiderate driving came into effect today with mobile phone use and middle lane hogging among a series of offences which will bring an increased fine of £100. Other offences covered in what has been described as the biggest shake-up in road policing in 40 years include tailgating, failing to give way at a junction, overtaking and pushing into a queue of traffic, being in the wrong lane and pushing into a queue on a roundabout, inappropriate speed along with wheelspins, handbrake turns and other careless manoeuvres which will include wheelies for motorcycles. The new rules have followed a consultation period and it’s hoped they can increase the chances of the police being able to get an offence to stick as it won’t have to go to court with all of the associated paperwork; a key reason many were never taken any further. Road Safety Minister Stephen Hammond said: “Careless driving puts innocent people’s lives at risk – that is why we have made it easier for the police to tackle problem drivers by allowing them to immediately issue a fixed penalty notice for low level offending rather than taking these offenders to court. “We have also increased penalties for a range of driving offences to a level which reflects their seriousness and which will ensure that they are consistent with other similar penalty offences. One element not mentioned by the Government is the slashing of dedicated traffic police numbers across the UK which has decreased by as much as 42% in some areas of the country over the past decade. It means the chances of people being caught by a police officer are hugely reduced.